The main aim is a creation of the controller which will process the request. 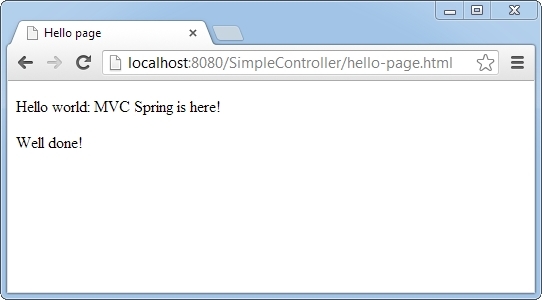 Hence, after a click on the link you will be redirected to a concrete page with the help of Spring controller. 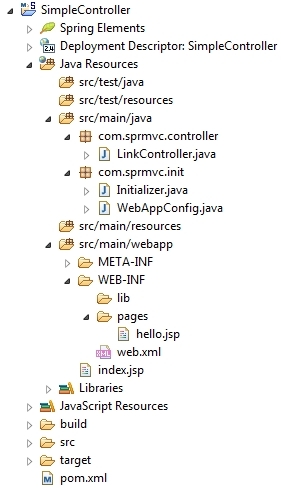 More information about the Spring dependencies you can find on the official blog. It’s done to point out the path where all JSPs are stored. This is required in order to use further readable URLs. 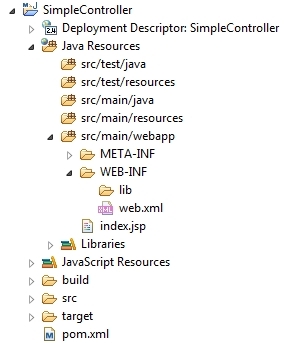 Notice that Initializer class implements WebApplicationInitializer interface. This is required to avoid XML-configuration of web-application. Before I show you how to create a simple controller, I need to create a JSP file to which controller will lead us. Notice that in the WebAppConfig class I have specified such path parts like sufix and prefix. At times tutorials are really helpful but the best way to learn how to use Spring is to read official documentation, so I recommend you dig deeper on the Spring blog.